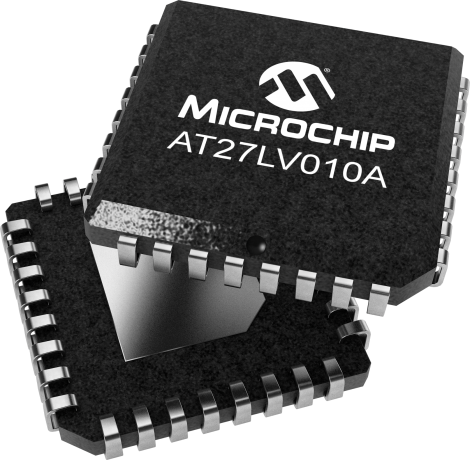 The Microchip AT27LV010A is a high-performance, low-power, low-voltage 1-megabit One Time Programmable EPROM organized as 128-Kbit x 8. Requiring a single power supply in the range of 3.0V to 3.6V in normal read mode operation any byte can be accessed in less than 70 ns. With typical power consumption of only 18 mW at 5 MHz and VCC = 3.3V, the AT27LV010A consumes less than one-fifth the power of a standard, 5V EPROM. Standby mode supply current is typically less than 1 μA at 3.3V making it ideal for fast, portable systems using battery power.